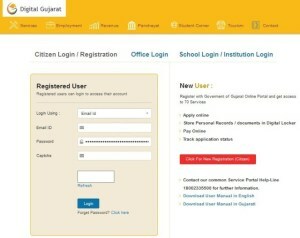 Are you looking for Digital Gujrat or Something like How to register or Register in Digital Gujarat Portal? So, you are in right location to obtain the very best details for Digital India. Before, once the official services portal was started, people were still required to visit nearby Jan Seva Kendra to verify their credentials before being registered. People of Gujarat would soon be able to avail a range of government services through their smartphones and tablets, together with the state government deciding to start a mobile application as well. 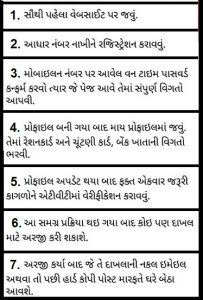 Digital Gujarat Common Services Portal provides 33 online services to citizen of Gujarat if you agree for registration so can online apply application and registration for 33 services with Adhar number, date of birth, mobile number, e-mail id, chose your password.